You know the importance of setting goals, but are the goals you're setting reachable or are you setting yourself up for failure before you even start? The S.M.A.R.T. goals approach helps ensure that you can realistically accomplish your goals, which will help you stay motivated. Research has shown that written goals are more effective than unwritten goals. It’s coming close to the time to start thinking about your New Year’s Resolution. Do you want to lose weight? Eat healthier? Get in better shape? Creating a S.M.A.R.T. goal will help ensure you’re successful. If you haven’t succeeded with your fitness goals in the past, if you keep doing the same thing, what makes you think you’ll be successful this time? Try something different that really works, write out a S.M.A.R.T. goal! Specific Make sure you are setting specific enough goals. Try to answer these five "W" questions: Who? What? Where? Which? Why? Example: General goal - Get in shape. Specific goal – Sign up for Small Group Personal Training and workout three days a week. 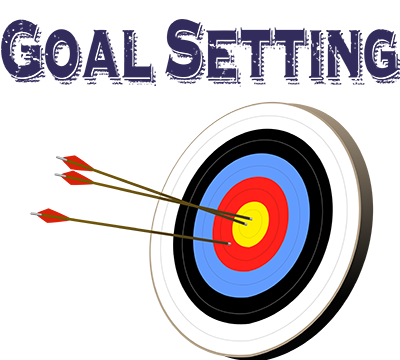 Measurable It is important to include targets and concrete criteria in your goals. Do your goals indicate how much or how many? This is how you will know if and when you have reached your goals. It could be a certain distance in a certain amount of time or a percent loss in body fat or even weight. Achievable Are your goals attainable? Your goals should motivate you to grow so you can accomplish them, but not so far out of reach that they stifle you. Realistic Does it make sense? Goals should align with your vision and be relevant to progress to ensure success. Timely No goal is complete without a deadline, so don't forget to include a time period to keep you on track. The American College of Sports Medicine recommends losing no more than 1-2 pounds per week. That’s something to keep in mind when creating weight loss goals. As you think about your goals for the new year, I encourage you to use these tactics and make S.M.A.R.T. goals. Please click here to download your free S.M.A.R.T. Goals Worksheet. Do it now or chances are, it won’t get done. Procrastination often stands in the way of accomplishing your goals. Right now is the time to put a stop to that unproductive cycle! Please let me know if you have any questions of if I can assist you in achieving your goals by posting your question on The Edge Personal Training Facebook page or contact me directly at https://edge-trainer.com/contact-us.php.